All medical/dental participants (and non-medical personnel) are welcome! 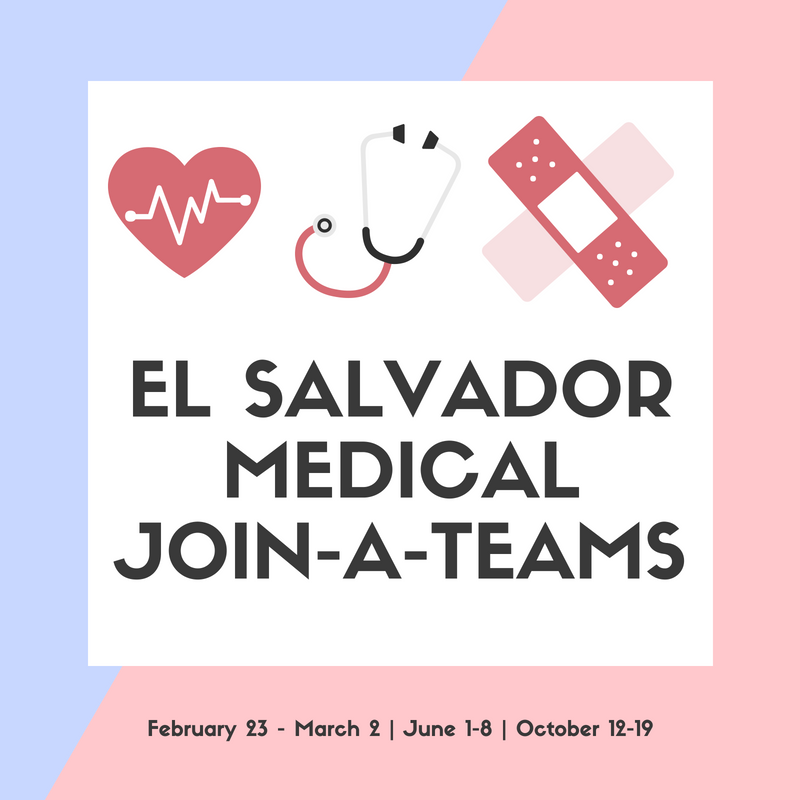 Alongside rural medical and dental clinics, this team will have the opportunity to minister to and work with the local children and adults in impoverished El Salvador communities. Make a huge difference to people in need, who otherwise go without medical assistance. These trips are open to both medical and non-medical professionals. Those who are not involved in the medical clinics will have an opportunity to do VBS with the children as they wait to be seen, pray with the families, and support the medical staff in any way needed.